Sweet, chewy, and bursting with nostalgia, these Red Gummy Fish by Not Candy will take you straight back to the days when you ate the entire bag and still yearned for more! Craft Vapery has been sending us subscription boxes for review for a while now and they finally sent us one of their own juices. 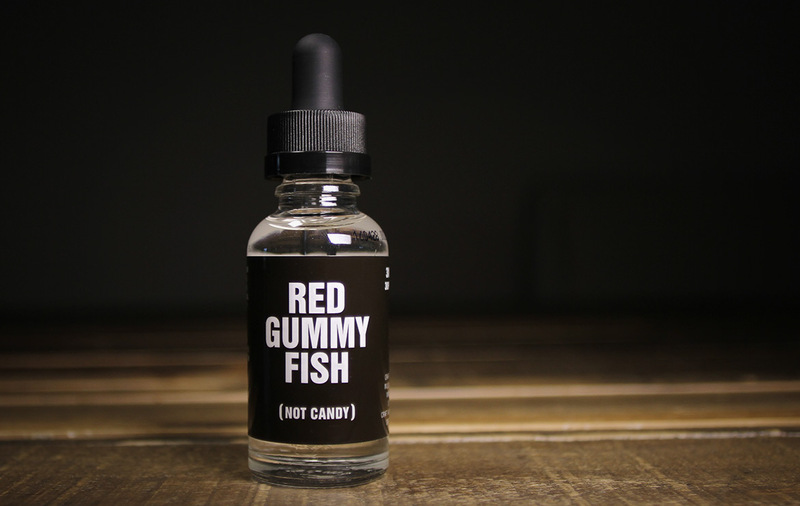 Red Gummy Fish is a very authentic Gummy Candy, now there could be a debate on whether it’s Red Fish or Swedish Berries but either way it’s good. Somehow Craft has nailed the Gelatine quality in the juice, all the way through both the inhale and exhale you can taste it. The balance is spot on, it’s sweet and candy like with strong notes of Red Fruit (Strawberry & Raspberry) while still managing to vape really clean. If you were like us and ate these candy delights as a kid, this juice will take you back and you’ll love every minute of it. We also dig the clean minimal branding, nice touch. Grab some. All Day Vape: It's a Candy, but it's pretty dope.